In the her tenth collection (the title story of which is the basis for the new film Hateship Loveship), Alice Munro achieves new heights, creating narratives that loop and swerve like memory, and conjuring up characters as thorny and contradictory as people we know ourselves. A tough-minded housekeeper jettisons the habits of a lifetime because of a teenager's practical joke. A college student visiting her brassy, unconventional aunt stumbles on an astonishing secret and its meaning in her own life. An incorrigible philanderer responds with unexpected grace to his wife's nursing-home romance. 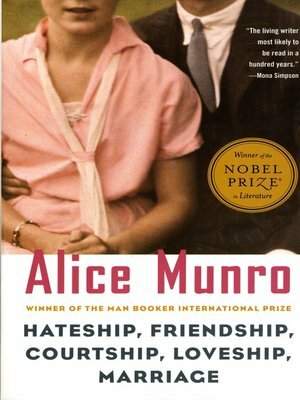 Hateship, Friendship, Courtship, Loveship, Marriage is Munro at her best, tirelessly observant, serenely free of illusion, deeply and gloriously humane.